Jamaican native, Delroy Souden, aka DJ Deli started his radio show, “Island Vibes” a year ago to rave reviews. He is considered one of the best Gospel music DJs around with an audience that spands the globe. 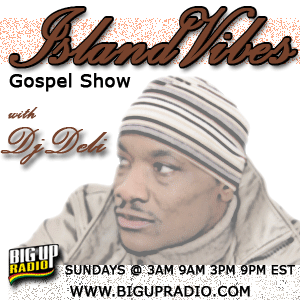 “Sland Vibes” featured some of the best Reggae Gospel music you’ll ever hear anywhere along with occasional interviews with artists and those affecting their communities in a positive way. His open approach to Reggae gospel blends the street flair with the positive lyrics that tells story. DJ Deli stays away from traditional Caribbean Gospel music as the current Caribbean Gospel forms appeals more to him. DJ Deli is based in Newark, New Jersey which is 20 minutes outside of NYC. He is also a recording artist, songwriter and entreprenuer and is the owner of the popular Gospel music websites, www.ensoundentertainment.com and the En Sound Music Awards, an independent gospel music awards show.